Over a kilometre of fencing surrounds Kinder Morgan's marine oil terminal as the facility undergoes construction for expansion. Bob Putnam was going for one of his routine kayaks when he noticed crews setting up a long fence around Kinder Morgan's marine oil terminal in Burnaby, B.C.. 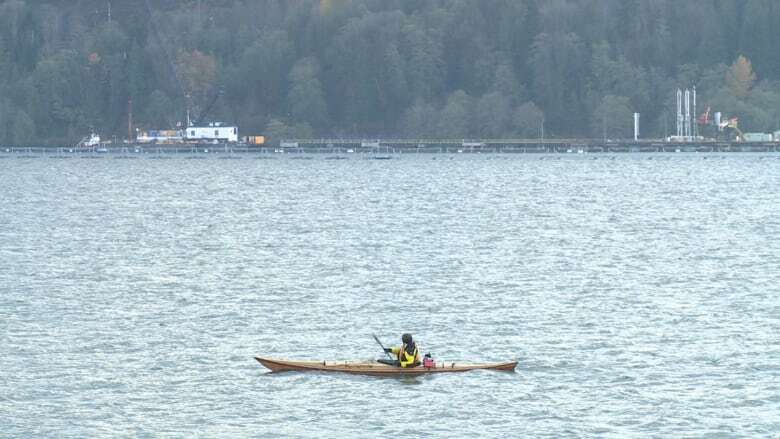 The co-owner of Deep Cove Kayaks decided to get a closer look, and says he was taken aback by what he saw. "It's about 10 feet high, heavy-duty chain-link fence, industrial strength, with razor wire on top," he told CBC News. "It's quite a substantial structure." According to a Kinder Morgan spokesperson, the fencing is called a construction safety boom. It's meant to enclose the facility as construction crews work to expand the facility as part of the proposed Trans Mountain pipeline expansion project. 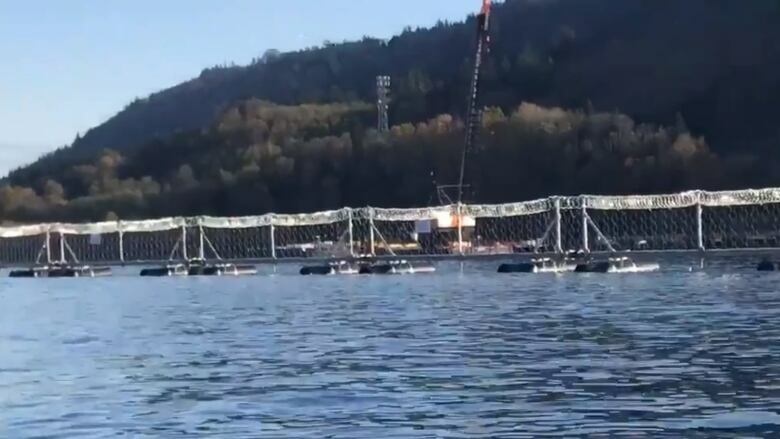 The boom, which was set up just days after kayakers staged a protest flotilla outside the facility, will shelter workers from marine wildlife and boat traffic, according to the oil company. Construction crews are currently working to add a three-berth dock complex to the existing facility, which will accommodate the anticipated increase in tanker traffic once the pipeline is complete. Putnam fears the razor-wired fence is just a sign of what's to come, should the project continue to move forward. "This area is a bit of a gem for Vancouver, a great recreational area. It's sort of a sign of our way of life — and all of a sudden nature is being encroached upon by heavy industry." "It'll be interesting to see what happens — but it's a little bit foreboding."